Can maker Silgan could lose out in its bid to buy Graham Packaging after an unnamed company bettered its offer. Yesterday (13 June), Graham informed Silgan that it had “received an unsolicited proposal from a private non-investment grade company to acquire all of the shares of Graham Packaging for $25 per share in cash”. Australian company Barokes has announced the appointment of wine consultant and Master of Wine, Philip Goodband. Barokes has been developing wine in cans, and Goodband has been appointed to help promote its technology. Gihan Atapattu, president of Ball Asia Pacific, is the first keynote speaker confirmed for Asia CanTech Vietnam 2011. Atapattu has been at Ball for just over a year after joining the company from SML Group (Hong Kong) where he was chief executive officer for three years. 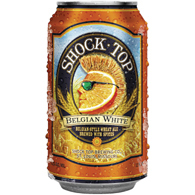 US brewer Anheuser-Busch has launched its Shock Top Belgian White ale in aluminium cans. Previously only available in bottles, Shock Top will now be sold in bright, eye-catching orange cans with corresponding orange pull-tabs. It will be sold nationwide in 12-packs of 12oz cans. 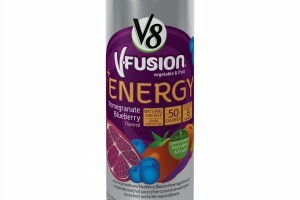 Food and drinks giant Campbell Soup has entered the fast-growing energy drink sector with two new products: V8 V-Fusion + Energy drinks and V8 Energy Shots. 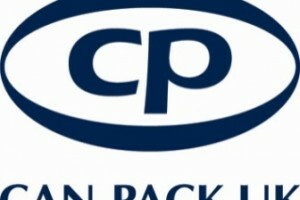 Can-Pack UK (CPUK) is set to supply brewer Wells and Young’s with aluminium cans for a range of beverages. CPUK will supply W&Y with 500ml and 440ml cans. Wells and Young’s will fill the cans itself with leading beers such as Wells Bombardier Beer and Courage Directors. 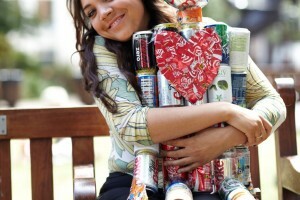 Schools in the US recycled more than 2.3 million aluminium beverage cans through a new national recycling competition sponsored by the can industry. The schools competed in the Great American Can Roundup (GACR) – School Challenge, a national competition sponsored by the Can Manufacturers Institute (CMI), the trade association representing can makers and their suppliers. European Metal Packaging (Empac), the association which brings together European producers of rigid metal packaging, announced the winner of its €10,000 student competition at Interpack. Beverage can maker Can-Pack has joined the drinks can recycling programme Every Can Counts after committing funding for a three-year period. The company will join representatives from the other beverage can makers and aluminium and steel packaging recyclers on the national steering committee. UK aerosol fillings increased by 3.3% over the previous year, according to the latest annual figures from the British Aerosol Manufacturers’ Association (BAMA). The data, released by the trade body yesterday (1 June), highlights the success of the metal pack format. Candwich, a sandwich in a can, is now available to buy in the US and online. The product was invented in the US by Markonefoods and has a shelf life of a year. Thomas Haensch has been announced as the new vice president of sales and marketing at Ball Packaging Europe. His predecessor Rob Miles was appointed vice president of sales for North American beverage packaging at the start of this year. Ball Packaging Europe and Coca-Cola have joined forces in an effort to carve out a place for the beverage can as a versatile accessory for young people in Germany. The 25cl sleek cans create a mobile link between music and refreshment. Apeal (the Association of European Producers of Steel for Packaging) has revealed that the recycling rate in Europe for steel food and beverage cans has risen again. Figures revealed at packaging show Interpack demonstrate how recycling rates of steel packaging for Europe in 2009 increased by two per cent to reach more than 72 per cent. Crown Closures Europe has launched a new closure that will make jars easy to open. Food processors can now improve the openability of glass jars and build brand loyalty with the new Orbit closure. Every Can Counts, the away from home drinks can recycling programme, has revealed that it helped businesses to collect 27 million used aluminium and steel beverage cans for recycling across the UK in 2010. Can maker Rexam has won an award for Quality Design at the Italian Oscar dell’Imballaggio (Oscar’s Packaging Awards) 2011 for its aluminium Fusion bottle.